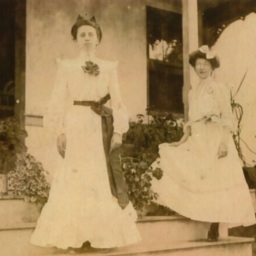 Photograph showing Agnes Crabill and Effie Stickley. 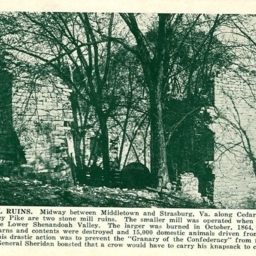 It is labeled "taken at home in summer of 1904 or 1905." 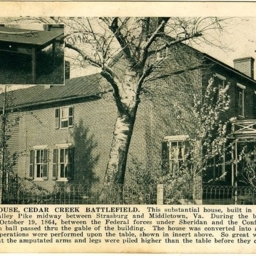 Postcard with a picture of the Stickley House, located on the Cedar Creek battlefield just north of Strasburg Virginia. 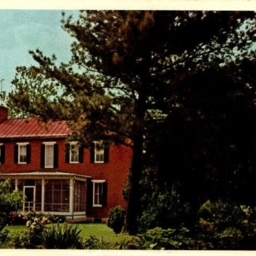 Color postcard with a picture of the Stickley House located on the Cedar Creek Battlefield just north of Strasburg Virginia.